Dear script writer, theme plays a major role in adverts. 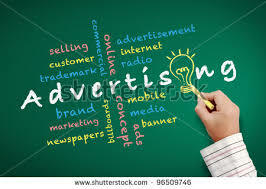 The aim of an advert is to pass a message to the audience whom are the consumers. This message is embedded in the theme of the display about a product/brand being advertised. Theme has ripples of ideas which it filters into the minds of the audience. These ideas aim at driving the theme to a point. These ideas are like different phases of plots linked together; where each phase represents various components of the product which include the name of the product, the makeup, the advantages, the side effects, the uses, the dosage, the consequences of using it, the consequences of not using it, the manufacturer, the durability, the know - how, the mechanism and so on. All these build up to the total information about the product. In an advertisement, the height of success recorded is measured by the manner those different phases in the plot of the idea in theme of the product display is integrated; the better the integration, the higher the success. The way the audience decodes and understands the concept used in this integration is of great importance. If your audience does not understand your advertisement, then, how is your brand going to sell? Below are some steps you may take to make things work. (1) No part of the script should contradict the theme. The beginning of the script shouldn't contradict the theme neither should the middle or the end of the script do so. (2) Don't lose track of the theme. More often than not, some script writers, in a bid to show off their writing prowess lose track of the theme. Apart from showing off their writing skill, they sometimes mix up the ideas of the theme. For instance, when it's time to write about the side effects of the product, they start writing about its safety measures. When it's time to write about the method of preparation, they start writing about its nutrient content. This makes the audience get a disrupted message/information about the product. (3) Create transition bonds to link the different ideas of the theme. Remember that these ideas are like different phases of plots linked together, and each phase represents various components of the product being displayed or advertized. The components build up to the total information about the product. After writing on one component, if you don't tell your audience you are going into another component, they will be confused. Again if you don't connect one component with the next one, your audience will be lost; they will not follow. These components are distinct, but yet they are connected. They are bonded until they expose the total information about the product. ''Sometimes your body wakes up but your mind doesn't'' We see a lady wake up wearingly from her bed. This part is trying to explain the consequences of not taking the tea; that you may always feel weak. The next moment, we see her singing happily as she is taking the tea. This part is trying to explain the advantages of taking the tea. Yes, the above worked, but something is missing. There is no transition to the next component, and there is no bond to link the two components. For a successful transition, after the first part, the lady should first of all drink the tea while still looking weak. It's after the tea would have performed its biological function inside her that she would regain her strength. ''But with this tea, you've got no problems because your strength will come back to you and you will be happy again''. (4) Don't take too long to get to the central idea of the theme. The central idea of the theme depends on the product being advertised. It involves the most important components which is part of the build - up of information about the product. For a product like a detergent, its most important component should be its ability to wash off stain; followed by its usage precautions and health safety. For a product like cough syrup, its most important components should be its ability to stop cough, its dosage, then followed by the hint on its chemical ingredients. For a product like mattress, its most important components should be its softness or hardness, followed by its guaranty. For a product like noodle, its most important components should be the time it takes to be prepared, the procedure for preparation, and then followed by a hint on its nutrient content. For a product like an electric fan, its most important components should be its number of rotation per second, followed by its durability. For a product like a mobile phone, its most important components should be its fastness in response to network connection, the operating system, convenience of usage, and then followed by its size and durability. For a product like a car, its most important components should be its stability and control, its fastness, and then followed by its design, comfort and durability. The earlier you let your audience know the most important components of your product, the better. These most important components contribute to a greater extent the total information about the product. There should be no too much scenes to get to these components. There should be no too much steps. There should be no too much words. There should be no too much actions. Taking too much time will make the audience lose interest. (5) Go straight to what you have for your audience about your product. Make things simple for them. Don't let them spend too much of their energy trying to understand what you mean. Don't let them assume. Don't let them wonder what they are seeing or hearing. Design your work to help the feel at ease. Having not more than one flashback if need be. Having not more than one dream sequence if need be. Not having too many actions. Not obviously comparing your product with another similar one. Not trying to generate a component your product doesn't have. Understanding the fact you have a limited time for your advert to run on the airtime. Meanwhile, click on the HOME bar to read other updates.